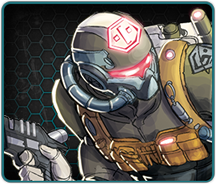 Galaxy Defenders is a Sci-Fi cooperative, tactical battle game in which 1 to 5 players fight together against an oncoming alien menace. 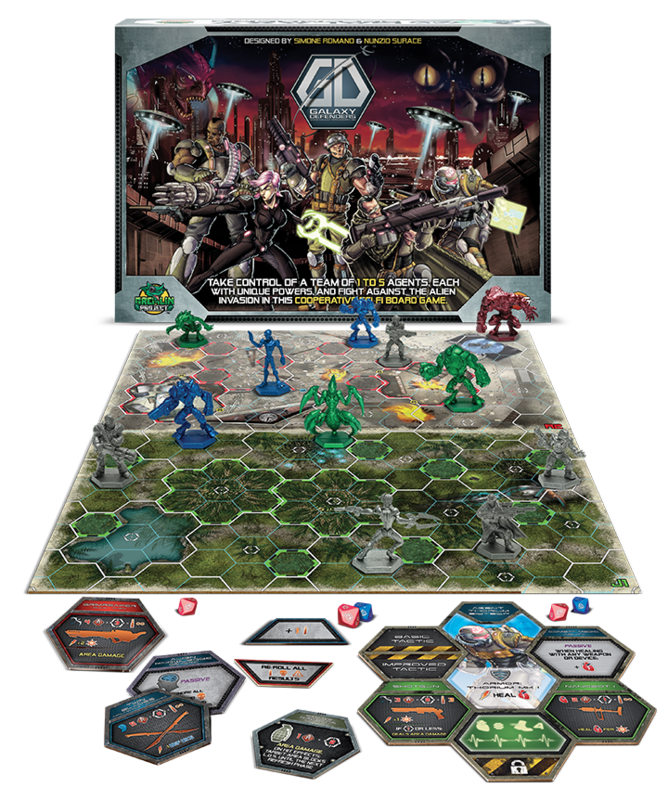 Each player takes control of one or more agents with unique powers to defend the planet from the alien invasion. Coming from U.S. Special Forces, the Marine is an excellent soldier who can manage different combat situations, especially multiple enemies. He has average movement ability and firepower. The Biotech is the most technologically adept agent in service. He can use Nano-Technology to heal wounds or control war drones. He also likes a bit of old-fashioned style... in fact, he always has his trusty shotgun for dangerous close encounters! A deadly and stealthy agent. This lethal specialist prefers hiding in the shadows. She has fast movement and good short-range combat ability. A silent sharpshooter and expert in camouflage and ranged combat. 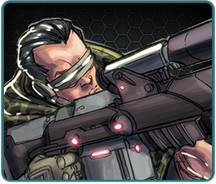 The sniper has average movement and excellent long-range firepower. 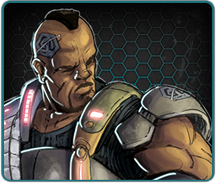 The Hulk was a successful mercenary and now is one of the best agents; although slow, he enjoys an extraordinary resistance to damage and has high firepower. GAMEPLAY REVOLVES AROUND A TACTICAL COMBAT SYSTEM, USING CUSTOM 10-SIDED DICE. EACH PLAYER SEQUENTIALLY PLAYS HIS AGENT TURN AND THEN ONE ALIENS TURN. PLAYERS CARRY OUT THEIR TURNS [AGENT AND ALIENS] IN CLOCKWISE ORDER UNTIL THE LAST PLAYER FINISHES HIS ALIENS TURN. ONCE DONE, THE GAME PASSES TO THE EVENT PHASE THAT WILL BRING THE PLAYERS TO THE NEXT ROUND. 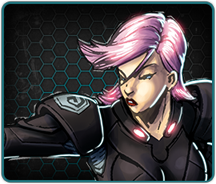 ALIEN CARDS, DEFINING THE BEHAVIOUR OF EACH DIFFERENT ALIEN, AND DETAILING ITS SKILLS AND COMBAT ABILITIES. 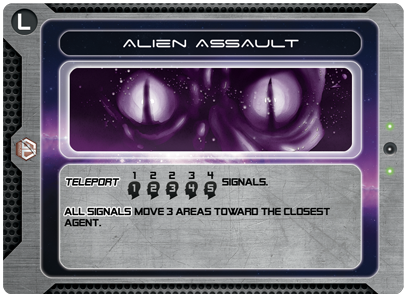 CLOSE ENCOUNTER cards, used beginning of each alien turn to determine which aliens activate. 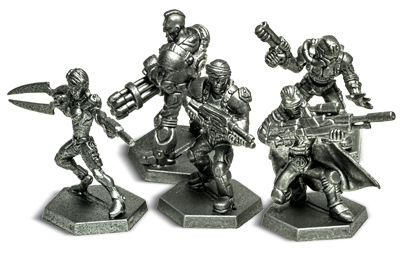 The turn structure allows the level of difficulty to scale dynamically, based on the number of agents in play. 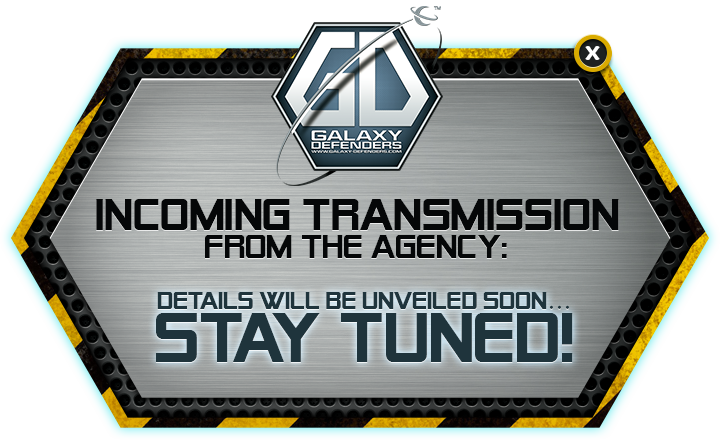 More agents bring more activations for the aliens. The system provides an appropriate level of difficulty, regardless of the number of players. If agents die during the game, the system "recalibrates" the difficulty to a reasonable and enjoyable level, so you still have a chance to complete the mission. • Each mission has multiple endings and the outcome of any mission will change the flow of the story. • The agents gain experience during the missions. 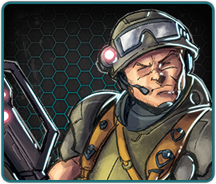 This experience transforms a good soldier into a perfect Galaxy Defender agent with multiple skills, basic and improved tactics, and the ability to use new devices, improved human weapons, and Alien technology.